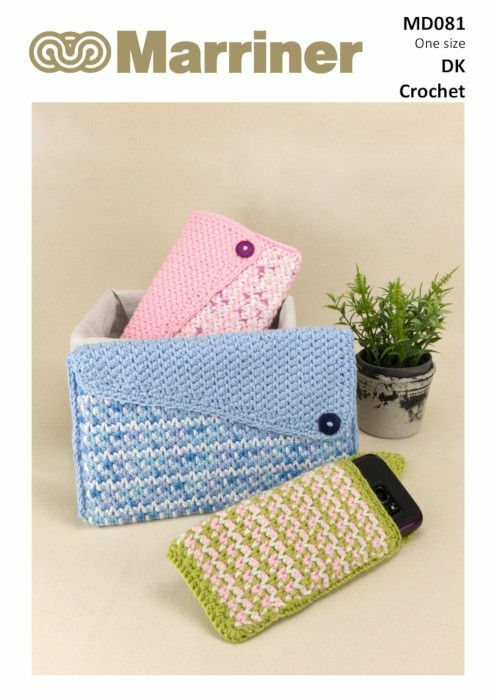 Useful crochet tablet and phone cases to protect your technology. Each creates an interesting tri-colour body with a contrasting plain-colour flap. 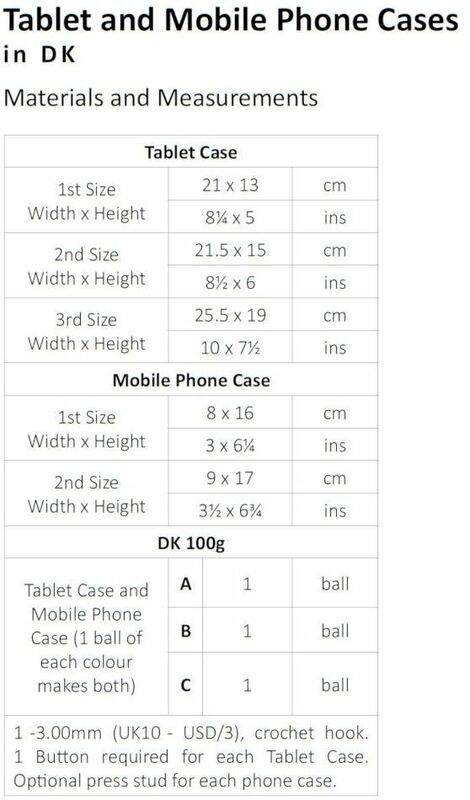 The tablet case had three size options and the phone case has two size options. These are made with our Smooth Touch Cotton Look DK in assorted colours. Hooks required 1 -3.00mm (UK10 - USD/3), crochet hook. 1 Button required for each Tablet Case. Optional press stud for each phone case.